Alzheimer’s Disease is a terminal illness, and people can die from its complications. Medications do not stop the neurons from dying off. No procedures reverse dementia. From a palliative care perspective, every decision is made based on how the treatment will maintain, or improve, the life of a person living with dementia. As we move along our respective journey through Alzheimer’s World, we need to re-evaluate what quality of life means to the deeply forgetful in our care. The goal is to treat and remove, or reduce, symptoms that are bothering the person who is deeply forgetful. Symptoms such as pain, or problems like urinary tract infections, are handled in ways that make sense to the person living in Alzheimer’s World. In the beginning of the journey, when the person is only a little forgetful, diseases and health problems are managed so that the body and mind continue to support each other FOR MAXIMUM QUALITY OF LIFE IN THE NOW. As the mind deteriorates, some of the bodily functions also start to go downhill. The caregiver may be faced with a clinician wanting to try a medication, change a medication, or run a test or procedure. The clinician does not know your family member like you do; he or she is trying to help, but the help may not result in MAXIMUM QUALITY OF LIFE IN THE NOW. “Is this (medication, test, procedure) really necessary?” The simplicity or complexity of the medication, test, or procedure factors into this question. A simple blood test or urine test would be better tolerated than an 8-hour sleep study. “How will it maintain or improve my loved one’s quality of life in the now?” This second question is a little trickier because quality of life is different for everyone. For Bob’s mom, Dotty, quality of life involved being able to enjoy ice cream and go to the pool. For Rita’s mother-in-law, quality of life meant going to church regularly and making needlepoint crafts that she gave away as gifts. For Vicki’s mother-in-law, quality of life meant gardening, cooking, and being with her grandchildren. “What would my loved one really want?” If the person is not yet deeply forgetful, you can involve him or her in the conversation. If the person is deeply forgetful, you will need to rely on your knowledge of the person’s preferences. Physicians, nurse practitioners, and physician assistants are often unsure about when or how to initiate a palliative care conversation. Rita Jablonski-Jaudon, in her clinical practice, recognizes that she may be perceived as “giving up” on a person who is deeply forgetful when her intent is the exact opposite. This fear of negative reactions from family members often causes clinicians to procrastinate or even ignore the topic until it DOES become an end of life issue. 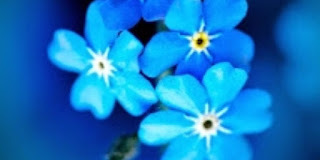 Being deeply forgetful does not mean “give up on me.” It means that medical and healthcare decisions have to make sense in Alzheimer’s World. The following illustrates this approach: Before her clinical practice in neurology, Rita worked as a nurse practitioner in a long-term care facility. One of her patients was an 83 year old woman who had had dementia for 8 years. Mrs. S. had been prescribed several medications in middle age to prevent urge incontinence, control her cholesterol level, and to prevent fractures due to osteoporosis. When she was first diagnosed with Alzheimer’s Disease, she had been started on donepezil and later, memantine. At this stage in the disease, Mrs. S. was incontinent of urine and was dependent on others for care, including being fed. Rita sat with Mrs. S.’s family and recommended that all but a pain medication be stopped. The other medications had outlived their usefulness and were now posing more risk than benefit. Rita explained that certain medicines in midlife can lower the risks for heart attacks, strokes, cardiovascular disease, and even kidney problems. But, as Mrs. S. grew older and the dementia worsened, it became more likely that Mrs. S. would die from the complications of dementia, not from heart disease or kidney failure. The family agreed. Mrs. S. lived for 2 more years. Alzheimer’s Disease is a terminal illness; people can die from its complications. Medications do not stop the neurons from dying off. No procedures reverse dementia. From a palliative care perspective, every decision is made based on how the treatment will maintain, or improve, the deeply forgetful person’s ability to enjoy the NOW. That being said, we would be remiss if we did not mention end-of-life care. We would recommend that family caregivers take a look at “The Conversation Project”, especially the one for Alzheimer’s Disease and other dementia—the link is on the right scroll bar. The information relates to end-of-life care, which is only one piece of palliative care. However, it is never too early for ALL OF US to discuss what quality of life means to us personally, and how we would want our end-of-life experiences to be like. The materials provide a starting place for the conversation. As we move along our respective journey through Alzheimer’s World, we need to re-evaluate what quality of life means to the deeply forgetful in our care. Vicki Winstead, PhD is a medical sociologist and gerontologist and works in the School of Nursing at the University of Alabama at Birmingham. She has collaborated with Dr. Rita Jablonski-Jaudon on several projects that examine ways to recognize and manage dementia-related behaviors for the purpose of assisting formal and informal caregivers. The Alzheimer's Reading Room contains more than 5,000 articles and has been published daily since July, 2009. More than 30,000,000 readers in over 206 countries have visited the Alzheimer's Reading Room. "With Alzheimer’s Reading Room, Bob DeMarco shares not only his own journey as a loving Alzheimer’s caregiver but also his remarkable gift for curating, storytelling, discovery, scientific curiosity and practical wisdom." "The Alzheimer’s Reading Room is the internet’s top resource, and it should be the first “prescription” for anyone facing this challenge."